With Opening Day just a day away, join Rob DeLucia of WSJU Radio and myself as we dissect the over/unders for the entire National League East. Feel free to let us know what we got wrong in the comment section below. Also if you want your question answered on the next BrokeMets podcast in a few days leave it in the comment section below or send us a tweet @brokemets. With baseball thankfully just a few short days away let’s take a look at the entire National League with the official 2015 BrokeMets National League predictions. Last year my predictions on division winners were perfect but my award races were way way off… You can check last year’s post out here. The Nationals enter 2015 as the heavy favorite in the N.L. East. Their offseason signing of Max Scherzer, while seemingly unnecessary, makes them even more difficult to compete with this season. While they lost Adam LaRoche, expect a bounceback season out of Ryan Zimmerman now playing first base every day. The other Zimmermann, Jordan, should be in for a monster year before leaving Washington next winter as a big ticket free agent. He could be in for over $150 million with another strong year. Regardless, the Nats will likely win this division by more than ten games yet again. The New York Mets are certainly improved but I think they fall just short of the postseason because of a questionable defense and what should be a very streaky offense. Matt Harvey’s innings limit and Zack Wheeler’s Tommy John surgery don’t help matters. While the Marlins made some nice moves this winter they still have plenty of holes and haven’t showed a willingness to spend significant dollars to fill a key hole during previous trade deadlines. If Jose Fernandez was back in April that could change things but he won’t be. The Marlin bullpen would also scare me especially after the loss of set up man Aaron Crow to TJ surgery last week. The Braves and Phillies continue to rebuild and won’t be in the race most likely. The Braves offense has been completely gutted but they lack the depth in their starting rotation to compete regardless. It is currently unknown what GM Ruben Amaro Jr.’s plan in Philly currently is so expect them to stay near the bottom of this division for the foreseeable future. This was definitely the toughest division to gauge as teams like Cincinnati and Pittsburgh could seemingly go either way based off of key players health. The Reds need bounce back years from Joey Votto, Brandon Phillips and Jay Bruce just to have a punchers chance in this tough division. If they don’t then Johnny Cueto will likely be the crown jewel available at this year’s trade deadline. Cueto is looking for a monster contract as he is set to become a free agent after the season. The Cubs look much improved after the the acquisitions of Jon Lester and Dexter Fowler. They should have Kris Bryant in the middle of their lineup within a month but there isn’t enough pitching here to win a loaded N.L. Central. The bullpen is going to cost the Cubbies a lot of games in 2015 but stock is definitely up on the North Side. The Cardinals are one of if not the best team in the National League. They have what every contender wants, a great rotation, a battle tested lineup and a young bullpen filled with power arms. They have the talent to go on another deep playoff run. The Dodgers remain the class of the division but won’t have the Giants on their heels all year long this time in my opinion. The loss of Pablo Sandoval and Mike Morse along with the inconsistencies of the members of the rotation not named Madison Bumgarner will cost this team a playoff spot. The Giants didn’t really address their offense much aside from trading for Casey McGehee. Matt Cain will be the key to the Giants season. If he can get back to his ace form than the Giants will be contenders if not, then they are the 83 win team that I listed above. The Padres should be much improved after new GM A.J. Preller overhauled the entire offense. He also brought in James Shields and all those moves should be enough to make the Friars a playoff team. That being said they still have a big hole and that is their defense. Every position player is either below average defensively or seemingly in the wrong position. It should be very interesting to see how much defense plays into their season. Last year I was when off on all my award predictions so I can’t do much worse this year. After picking Jose Fernandez to win the NL CY Young last season I learned my lesson and won’t pick away from Kershaw for the indefinite future. Soler and future teammate Kris Bryant may steal NL ROY votes from each other but I went with Soler over Bryant because the outfielder is going to start the year in the big leagues. He has looked terrific both offensively and defensively this spring. Stanton would have won MVP last season if it wasn’t for a freak HBP to the face in early September. I expect the Marlins to be in the race like all year so Stanton is my MVP and the rejuvenated Padres have a great manager in Bud Black and he will be rewarded with the NL Manager of the Year. What do you think of the BrokeMets 2015 predictions? Interested in advertising with BrokeMets? We would be happy to listen to any advertisers who have interest in putting ads on BrokeMets.com, no matter how big or small the company is. Ad spaces for 2015 are filling up quickly however so if you have interest please don’t hesitate to ask. 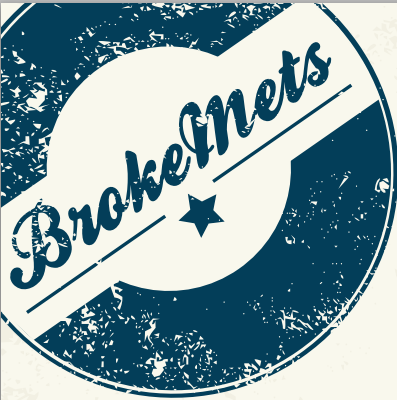 BrokeMets has done business with companies such as FanDuel, DirecTV and many more! Interested in Advertising with BrokeMets???? Interested in advertising with BrokeMets? We would be happy to listen to any advertisers who have interest in putting ads on BrokeMets.com now matter how big or small the ad company is. Just contact Steven Inman at steven.inman10@stjohns.edu and he will get back to you right away. With Opening Night just a few hours away it is time to break down the entire National League. We normally do strictly the N.L. East here on BrokeMets but it is always fun to make preseason predictions. Post your own predictions for all division winners in the comment section and we will see who gets it right at the end of the year. The 2013 N.L. East Champion Braves have taken a step back with the losses of Kris Medlen and Brandon Beachy in their rotation due to Tommy John surgery. The team also lost Tim Hudson in free agency to the SF Giants. The team will go as far as their new rotation can take them led by Julio Teheran and the already injured Mike Minor. Freedie Freeman should be an MVP candidate once again. The Nationals should be the favorite here with a stacked rotation and a solid lineup top to bottom. This could be the year where Bryce Harper breaks out. The Miami Marlins continue to stockpile young talent and Jose Fernandez should be a Cy Young candidate yet again, this time with no innings limit. The Phillies continue to get older and older without getting better and should continue to slide in the standings. The Mets are likely somewhere in between. 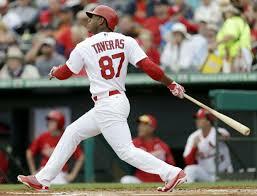 The St. Louis Cardinals continue to be the class of the division if not the entire National League. They continue to bring up young players that seem to contribute immediately. They get a full year out of Michael Wacha this season as well as Matt Adams playing everyday at first base. Trevor Rosenthal and Carlos Martinez will form a dynamic back end of the bullpen. Both players are expected to be starters at some point but the Cardinals simply don’t have the room in their rotation. 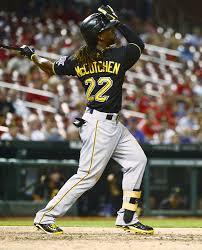 The Pirates should take a step back to open the year as they look to be a bat and a pitcher short. They may get both those pieces soon however with prospects Gregory Polanco and Jameson Taillon. The Reds should also take a step back with the loss of Shin-Soo Choo. 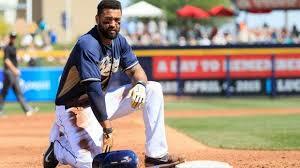 It will be interesting to see if his replacement Billy Hamilton can hit enough to capitalize on all of his speed. The Brewers and Cubs are still rebuilding but the Cubs look like they are getting closer with some interesting hitting prospects getting very close. The N.L. West is the Dodgers to lose. With the star power they have there they should be one of the early favorites for the World Series. They need to keep their starting rotation healthy and if they do they should have no problems winning this division. 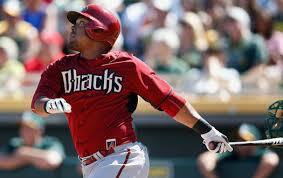 The Diamondbacks are interesting because they have a lot of players coming off down years. Players like Martin Prado, Cody Ross and Aaron Hill all are veterans with a track record, now with something to prove. Archie Bradley will start the year in the minors but has little left to show down there. 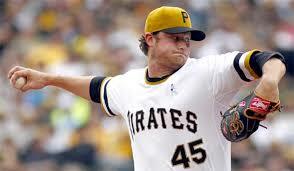 It is more of a service time situation but once he comes up he should be the early favorite for N.L. Rookie of the Year. Losing All-Star Patrick Corbin badly hurt the Diamondbacks chances of competing with the Dodgers. The Giants look to be in no mans land with a great rotation but not enough offense. They have won two championships with this same core though so they can’t be ruled out. They are trying to negotiate a deal with Pablo Sandoval but he is currently asking for an absurd amount of money and he looks likely to have a big year and go to free agency. The Rockies can never be ruled out but they just don’t have the pitching to compete. They badly need Troy Tulowitzki and Carlos Gonzalez to stay healthy. When the two are playing together the team is very good. The Padres just don’t seem to have any sort of offense this year and lack the front line pitching needed to compete consistently. I’m giving the Diamondbacks the ROY and the MVP but it will not be enough to overtake the Dodgers. Goldschmidt deserved the MVP last season and if he puts up similar numbers this season he should win it. Bradley looks like a star in the making and should make the snakes a fun team to watch in the desert. Matt Williams takes over an underachieving Nationals team. They should understand that they can’t take this race for granted. If they play up to their potential they should win and first year manager Matt Williams should win Manager of the year. Fernandez is as good as they get and makes Marlins games a must watch when he is on the mound. The question with him will be will he get enough run support to win a Cy Young. What are your predictions for the National League???? Have a Question for BrokeMets? Have a question for BrokeMets? 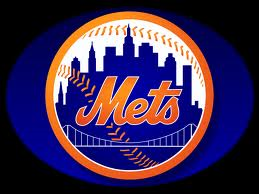 With Opening Day around the corner, Steven Inman is happy to answer any questions you may have about the Mets, the N.L. East or the rest of baseball. Just leave it in the comment section under this post. Steven answers every baseball question and if the question is good enough, it could be turned into the next post on BrokeMets.com.